Two years into the BJP government's reign, Prime Minister Narendra Modi has decided to reshuffle his Cabinet, to further his vision of development and good governance. On 5 July, 19 fresh faces were inducted into PM Modi's Council of Ministers. On 4 July, Modi spoke to some of the nation's leading news publications, and talked in length about the hits and misses of the past two years, and the way forward. In an interview with the Indian Express, Prime Minister Narendra Modi talked about how the Centre has been effective in restoring hope in the nation. In contrast with the period before BJP came to power, a time when the country was reeling from high inflation rates and a series of scams, the current government led the nation from economic decline to sustained growth, he said. 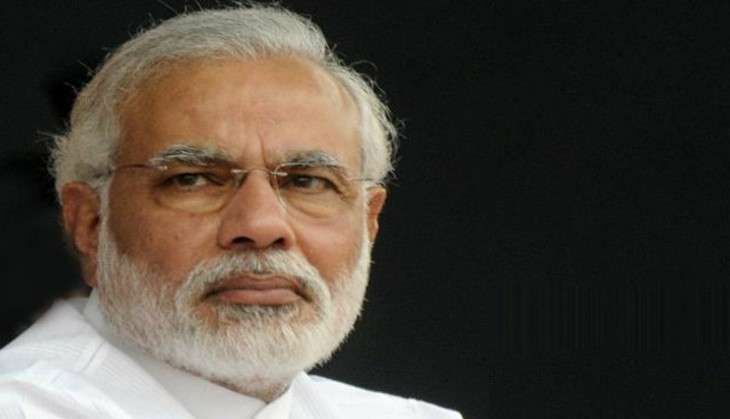 When asked about whether he has any regrets from the past two years of governance, Modi said, "Before and during the parliamentary elections, there was a section of the media which strongly hoped that we would not win. My regret is that in the last two years, I have not been able to convince or persuade that section regarding our point of view. My challenge is to win over these sceptics, and persuade them of our sincerity and good intentions." In a conversation with the Pioneer, PM Modi talked about the Bharatiya Janata Party's plan of action with regards to the upcoming Assembly election in Uttar Pradesh. "Nearly 15 years of misrule have resulted in UP lagging on every parameter of development," he said. According to the ranking of the Composite Educational Development Index for 2014-2015, UP was at the bottom. Modi stressed on the importance of fixing this situation by focusing on the parameters of accessibility of schemes, infrastructure, and ensuring balanced industrial development in the state. To the Economic Times, Modi revealed his plans for the next three years. "My aim is to ensure that no village in India is without electricity, the electricity sector is financially viable, the nation has adequate power for industrialisation, and India leads the world in renewable energy," he said. He talked about implementing moderate tax rates, boosting the start-up ecosystem, and his plans to focus on a skill development mission. "In agriculture, all 14 crore farmers would have received soil health cards, wholesale mandis will be integrated into a unified market (e-NAM) and the Pradhan Mantri Fasal Bima Yojana will be fully implemented," he stated. On the topic of cooperative federalism, PM Modi said that he is proud of his government's record in treating opposition-ruled states as full and equal partners in 'Team India'. "By creating Niti Aayog, I have taken a concrete and effective step to that end. Earlier, the Union government used to decide the share for states; now the committee of Chief Ministers take decisions in this regard. I am the first PM of the country who has ruled a state for such a long time. Therefore, I know the needs of the states well", Modi told the Pioneer. Talking about India's attempts at making inroads into the Nuclear Supplies Group (NSG), and China intervening into the same, PM Modi said that relationships shared between nations are more nuanced than what meets the eye. "India and China are neighbours, important players in Asia and increasingly significant actors on the global stage. We need to work together more, understand each other's interests and priorities and be sensitive to mutual concerns and interests. But, I also firmly stand by what our strategic interests are and will continue to pursue them strongly," he said.